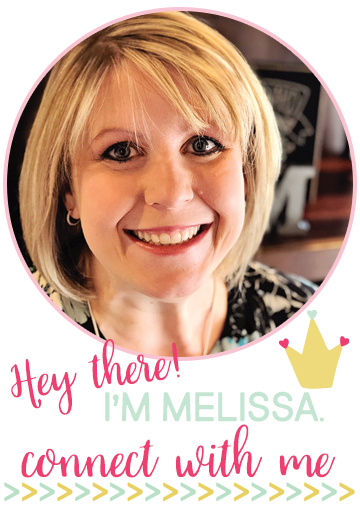 With Valentine’s Day just around the corner, I thought I would pop in and share some ideas to help you plan your Valentine’s Day centers for Kindergarten. 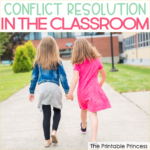 Be sure to stick around until the end because I’m sharing a super fun freebie. As primary teachers we have the awesome advantage of using the holidays and seasons to get our kids extra excited about learning. 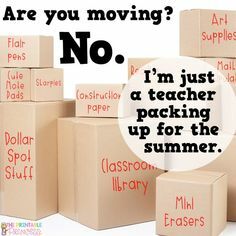 Plus, I think it’s super fun to switch out our class activities for each holiday. It’s an easy way to keep things new and fresh in class. 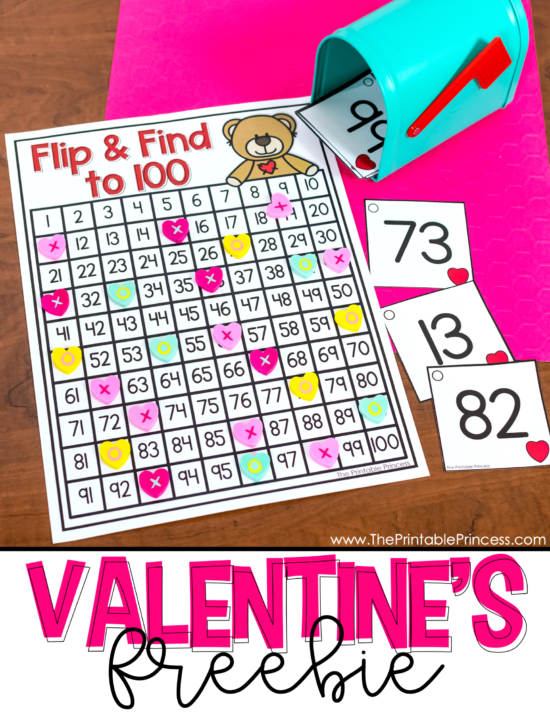 So if you’re needing some Valentine’s Day centers, I’ve got an easy way to help you bring the fun and festivities in to your classroom. 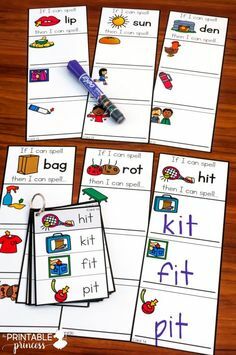 These activities are a fantastic way to work on CVC words, middle vowel sounds, CVC words, addition, counting, and making 10. The activities I’m sharing today come from the 6 Pack Center: Valentine’s edition which is part of the 6 Pack Centers Year-Long Bundle. These are the perfect little “something extra” to add a holiday flare to your centers. 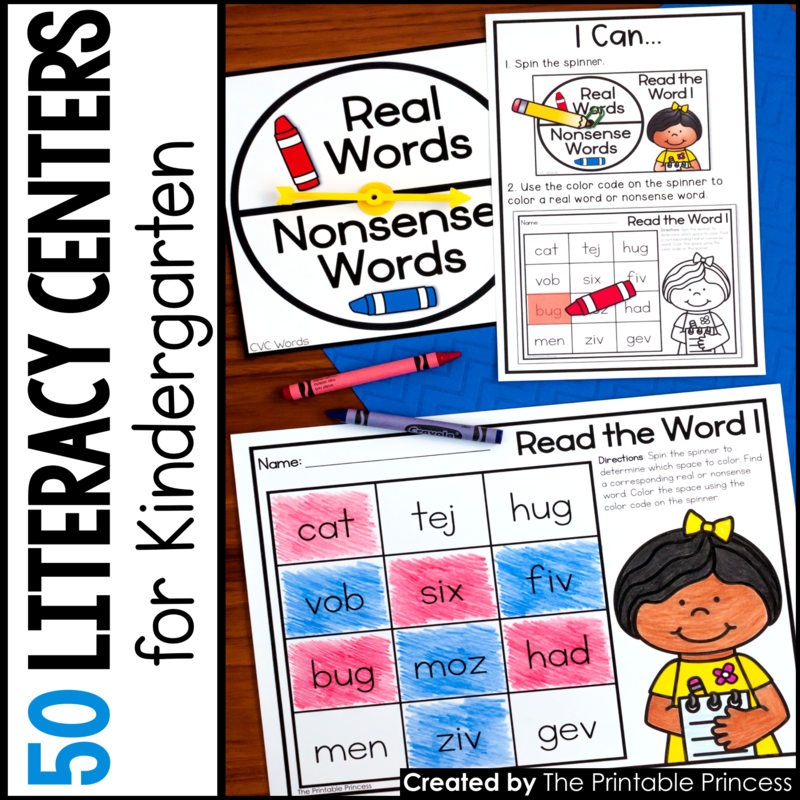 Each individual theme includes three literacy centers and three math centers. Each center includes teacher-friendly directions which are so helpful if you have a parent or classroom helper leading the center. They also include Kinder-friendly “I Can” visual directions to keep students on task and promote independence. All recording sheets are in black and white, which makes them printer-friendly! 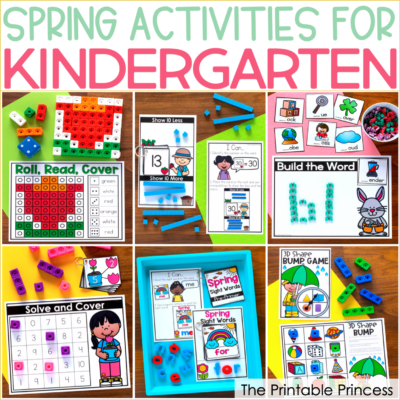 The activities included were designed with Kindergarten skills in mind. The skills included are most likely things your students are working on during the month of February. Each center also includes a follow-up no prep page that you can use for early finishers, homework, an assessment, or as an extra center. Scroll down to see what I’m talking about! The second half of the year is all about CVC words. We practice, practice, practice reading, spelling, and writing CVC words. This is a fun challenge for students who are well on their way to mastering CVC words. 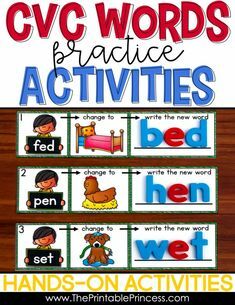 To complete the activity, students say the name of the CVC picture and unscramble the letters to record the word on their paper. 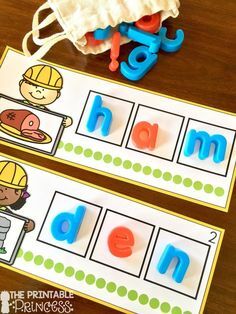 Add magnetic letters this center and have students practice building the words if they finish early. 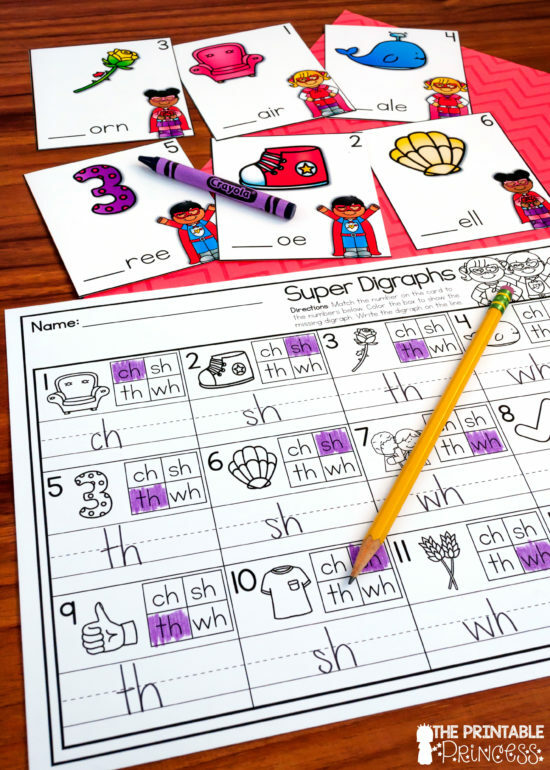 February is usually around the time when I have some students who are ready to start digraphs. 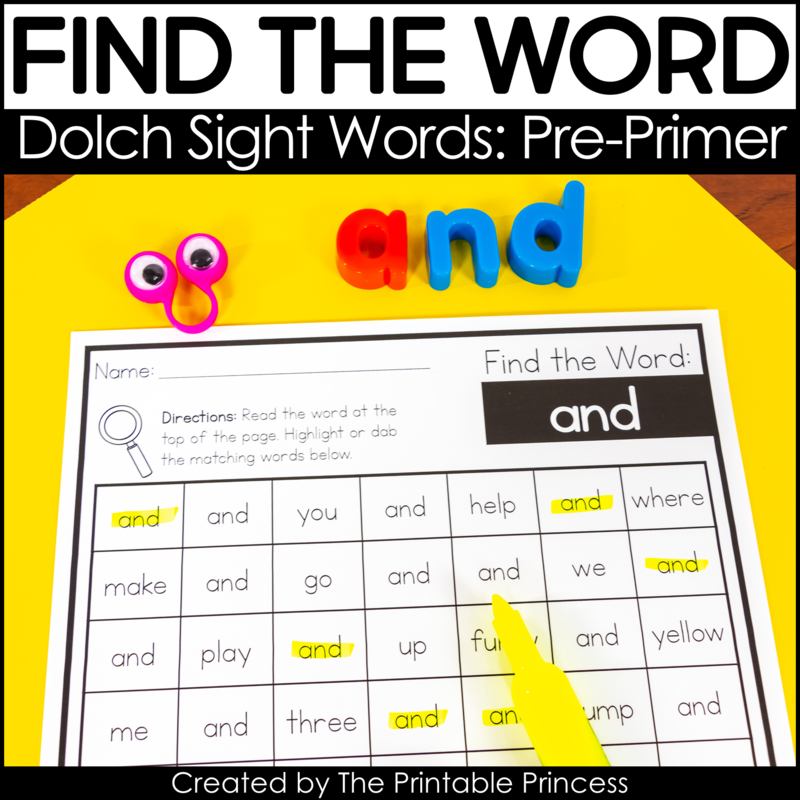 Digraphs can be tricky for students. We’ve worked so hard to teach students letter sounds. But now let’s throw them curve ball. Now we get to explain that when you put two letters together they make a completely different sound than what we’ve been teaching for the last few months! 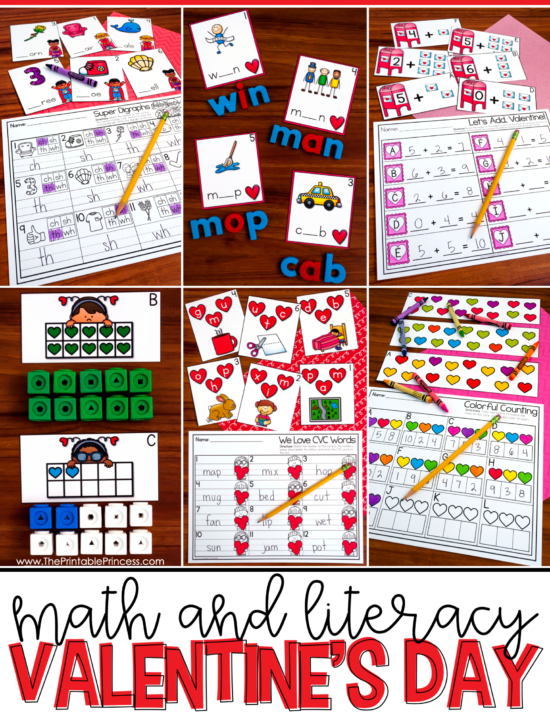 Knowing that students need a lot of practice with this skill, I’ve included it in the pack of Valentine’s Day centers for Kindergarten. Students say the name of the picture to identify the beginning digraph and record it on their paper. Middle vowel sounds are another difficult skill for some students. They may be able to identify the vowel sounds in isolation, but putting them in the middle of a word makes it much harder to identify. 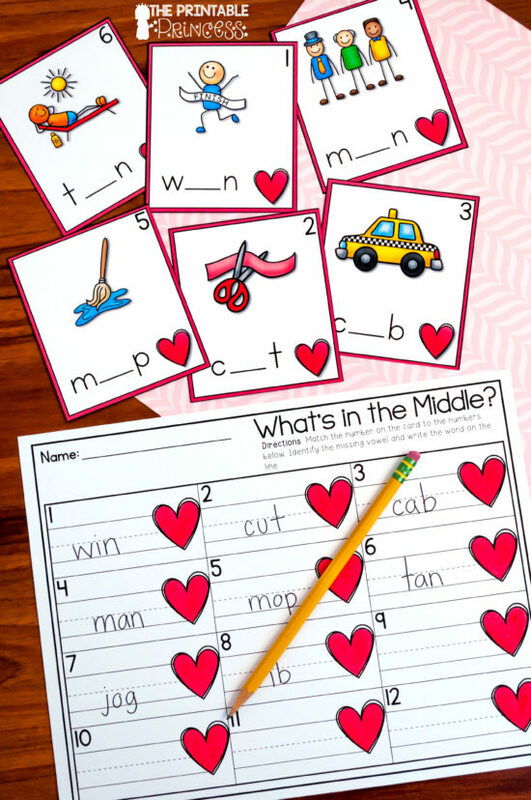 The “What’s in the Middle?” activity focuses solely on those middle vowel sounds. Students say and stretch the name of the picture to identify the middle vowel sound. Then they record the entire CVC word on the line. You can also add magnetic letters to this center and have students spell the words if they finish early. 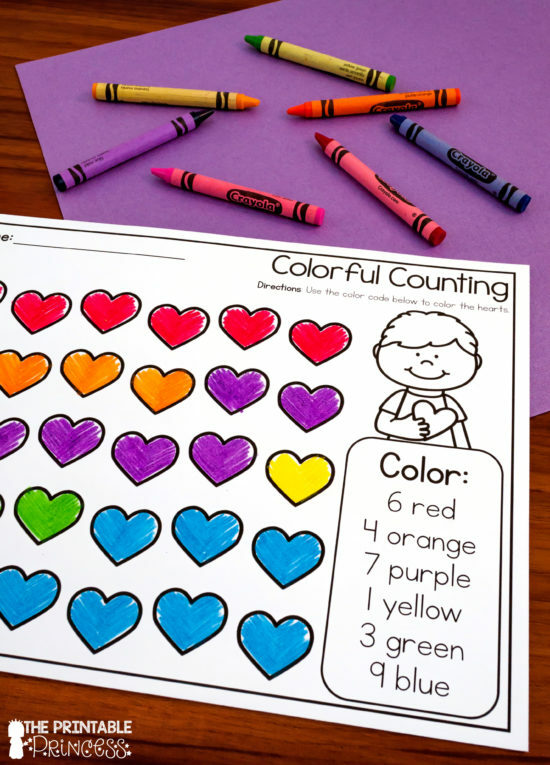 Colorful Counting combines colors and, you guessed it, counting! 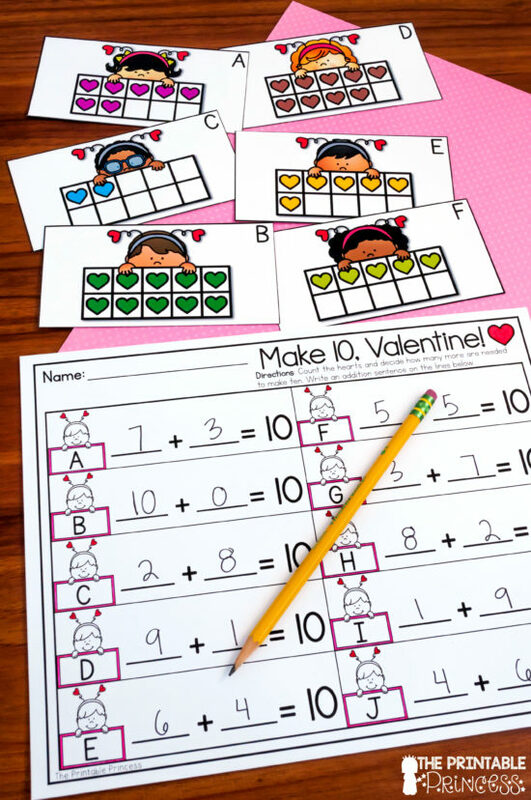 Students color their recording sheet to match the color of the hearts on the card. 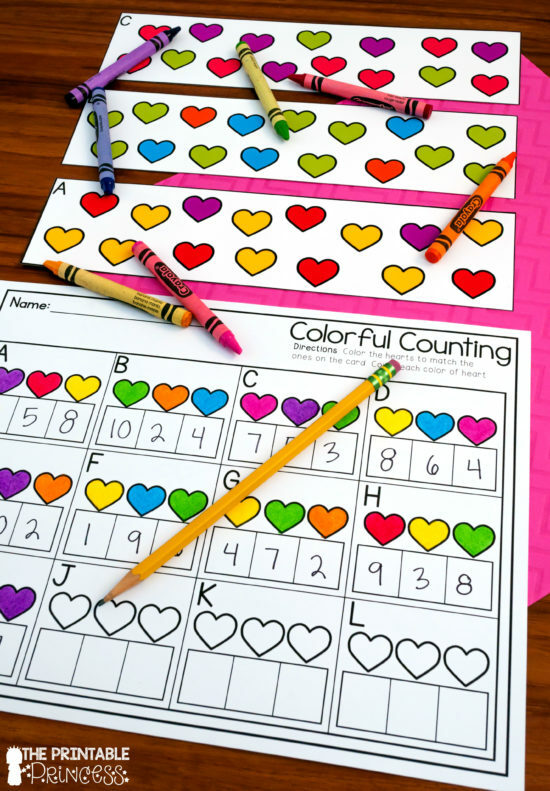 Then they count each color of heart and record the total number of each color on their paper. Here’s a peek at one of the follow-up no prep practice pages. This one is for the activity Colorful Counting. You can see how the follow up page reinforces the skill they were working on in centers. 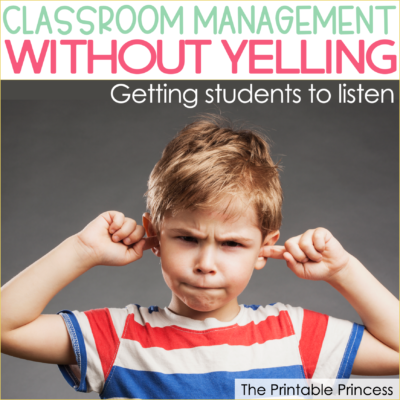 These are great for morning work, homework, or even an additional center. There’s a follow up page for each activity included in the 6 Pack centers. Are some of your students still working on making 10? It’s so important that our little math mathematicians have a solid understanding of the pairs of numbers that make ten. 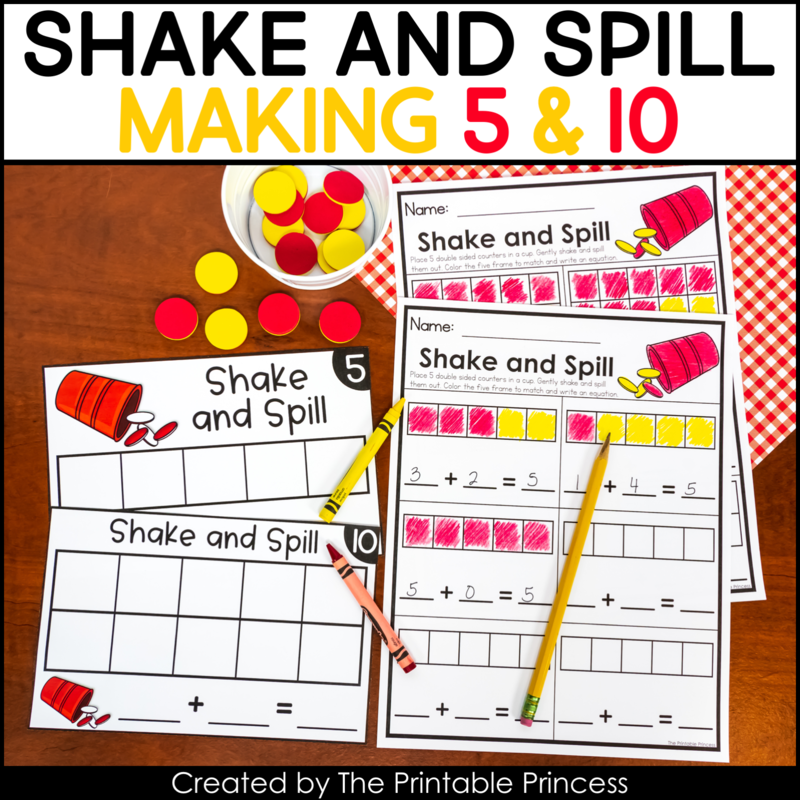 For this activity students use the ten frame to create an addition sentence equal to ten. They record their addition sentence on the paper. 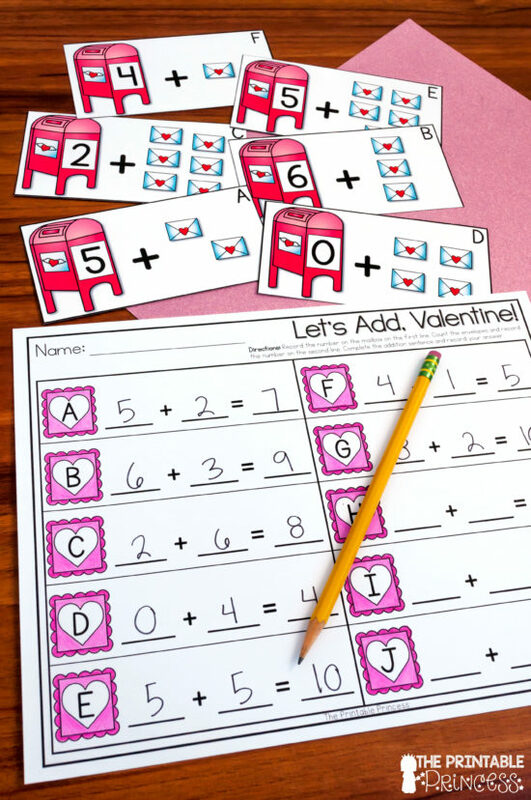 And to round out the Valentine’s Day centers for Kindergarten, this one focuses on addition practice. Students begin counting with the number on the mailbox and then count on to create an addition sentence. They record the addition sentence on the recording sheet. 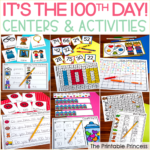 This freebie is a fun and festive way to get students familiar with numbers to 100. 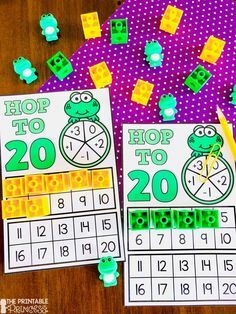 Just like the activities in my February Literacy and Math Tubs resource, this also works great for a morning tub, early finisher, or math center. 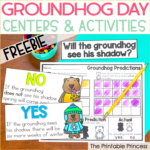 To prepare this activity print and laminate the Flip and Find activity mat. 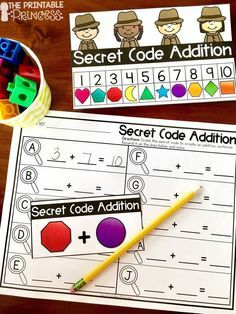 Print, cut-apart, and laminate the number cards. There is a small hole in the upper left corner of each card. You can punch a hole and put the cards on a metal ring for organization and easy storage. If you’re putting the cards on a metal ring, you’ll want to mix them up first. That way students are not finding the numbers in order. 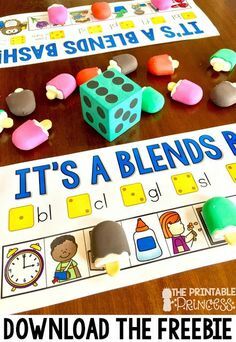 Students need plastic math cubes or mini erasers for this activity. You don’t have to put the cards on a ring. 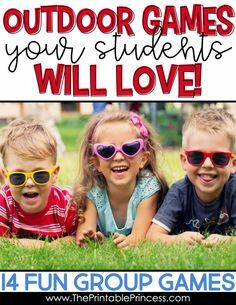 You can put them in a mailbox or a container for students to grab from. Students identify the number. They will find and cover the corresponding number on the hundreds chart. 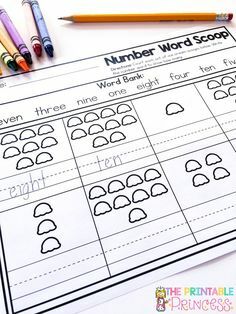 Students will continue playing until all of the numbers have been covered. 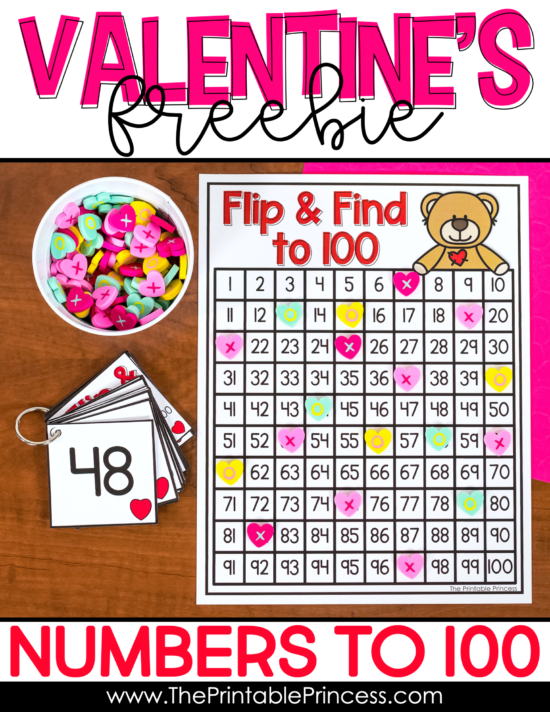 You can download your copy of the Flip and Find Valentine’s Day center freebie by clicking here. 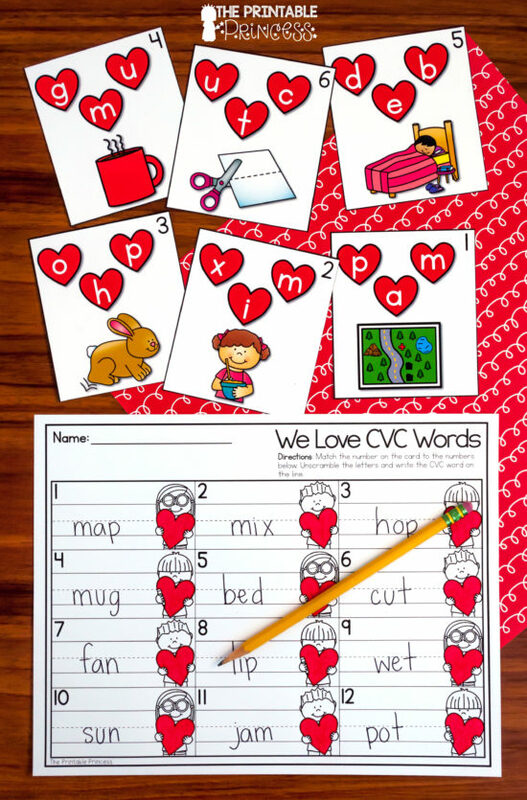 I hope your students love these Valentine’s Day centers for Kindergarten!